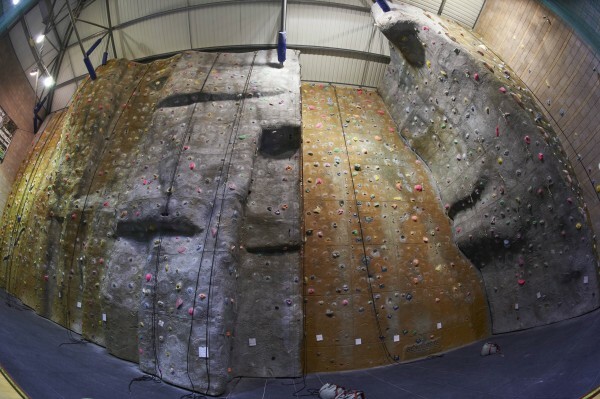 At Inverness Leisure we have the largest indoor rock climbing facility in the Highlands offering routes for the absolute novice to some real challenges for the many expert climbers who visit the centre. 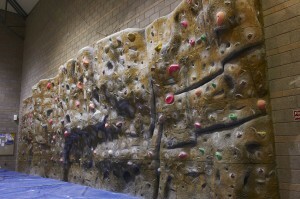 The fantastic thing about our wall is that it allows you to enjoy bouldering, top roping and lead climbing. And for all the expert climbers out there, they will be pleased to hear that our wall is also one of the few in the country that allow you to place your own gear. With all our routes ranging from very easy to extremely challenging (F4 to F8A), everyone that comes along to the wall at Inverness Leisure can be sure there is a challenge for them regardless of their climbing abilities. Our qualified wall staff are able to offer instructed climbing, personal 1-2-1 training, event/party hosting and corporate team building events to name only a few of the wall activities available. But if you have something else in mind – all you have to do is ask! We pride ourselves in equipping our walls with the best and safest products on the market with every piece of kit used on our walls being manufactured and tested to the highest standards. If you are new to climbing and don’t have all the necessary equipment, then don’t worry, because we hire everything you will need to get you heading up our wall. Classes and instruction on the climbing wall take place at various times throughout the week. For further information please ask at Reception. Please be aware that regular route setting takes place on the walls between 12.30pm and 3.30pm on Tuesdays and Thursdays, therefore certain sections of the wall with be cordoned off to allow for this. This allows us to update / refresh and create new routes which in turn gives our customers new challenges and goals to strive towards. Climb offers a full range of training courses including inductions, group courses, 1-2-1 & additional needs. A range of climbing equipment is available for hire including rock shoes & harnesses. Take part in safe and enjoyable sessions as a first step to climbing. Over the course of the block learn how to master the skills of vertical movement through fun and exciting climbing games in a controlled and friendly environment. The course is suitable for children aged 3-5 years. Click here to view our Pre-School Activity Timetable. Our 6 week block introduction to climbing classes provide children the opportunity to become familiar with heights whilst participating in fun and friendly bouldering games and scale the heights of our 10m high main wall. Older Age groups will also learn how to fit their own harnesses, tie knots and belay (hold the rope) for their fellow climbers. Click here to view our Junior 6 Week Sports Timetable. This one off session teaches you the basics of safety and offers you an introduction to indoor climbing. Once the course is completed, and you can demonstrate you are competent with the climbing practices you learnt on the course you can sign yourself up at reception as a registered user for the climbing wall. This would allow you admission to the wall during public sessions. The introduction to climbing course can be booked at reception and is included in the all-inclusive High Life membership. We have places available if you are looking to gain a Lifeguard qualification 🏊‍♂️🏊‍♀️🏊‍♂️. Inverness Leisure are holding a National Pool Lifeguard Qualification course on the following dates. Monday 27th May to Saturday 1st June 2019 (8am to 5pm for the full week). Candidates must be 16 years or over and must complete a pre requisite swim test before being confirmed on the course. Customers are advised that, as we are hosting an Inverness Swimming Club Graded Meet, the Competition Pool will be closed to the public all day on Saturday 20th April 2019. We are operating normal opening hours over the Easter Weekend :).